Preview of our film "Marathon at Mount Everest"
We have great news for all of you looking forward to watch our film "Marathon at Mount Everest" (festival version). We are in very good progress so far. The last weeks we have worked hard on editing & cutting some more footage as well as getting some good graphics and music into the film. We also worked on writing and recording the speakers text, have finetuned sounds and colours. We are on GO! On friday, october 4th it is time to party! 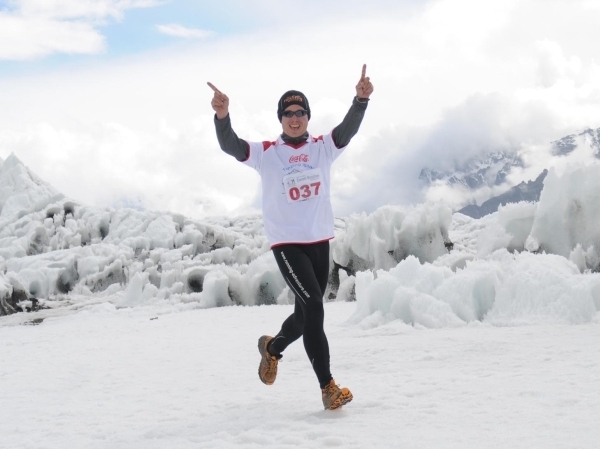 We will organize the preview of "Marathon amt Mount Everest" at the TRAILDORADO event. All Everest Marathoners, trail & ultra runners, as well as beginners & non-runners are welcome. Get inspired! The entry is free but space is limited. We have reserved a place for all participants of TRAILDORADO event. Visitors need to make their reservation in advance.